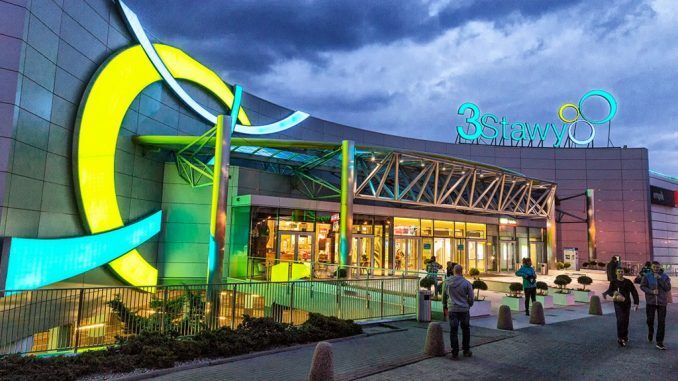 Multi Poland, part of Multi Corporation, one of leading shopping center manager, owner and developer in Europe and Turkey, assumed the management of 3 Stawy as of February 2019. The shopping center was one of the earliest centers in the Silesia region and combines a broad offering, including shopping, services and entertainment. Multi will be responsible for all aspects of the building management: asset management, facility management, leasing and marketing. The company will operate on behalf of Union Investment, the owner of the property. “Multi is consolidating its position in Poland with the assumption of the management of the 3 Stawy shopping centre located in Silesia, one of the most economically advanced regions in the country. Our managers will tap their experience in the Polish market and the synergies gained from the management of the other centers in Multi’s portfolio, including Forum Gdańsk which is setting new records for popularity. Our ambition is to see 3 Stawy retain its stable position as the center local residents appreciate as the place to shop, do business and have a great time” – said Luca Maganuco, managing director Central & Eastern Europe at Multi. Multi manages a total of five shopping centers in Poland. These include the multifunctional Forum Gdańsk shopping and entertainment facility opened last year, which has already welcomed more than eight million visitors, plus the Magnolia shopping center in Wrocław, the largest shopping, entertainment and recreation center in Lower Silesia. 3 Stawy in Katowice, one of the earliest purpose-built shopping centers in the Silesia region, attracts more than six million customers each year. It is located 3 km from the heart of the regional capital, close to the popular A4 motorway and the Three Ponds Valley, the source of the center’s name. The building offers gross floor space of 40 000 sq. meters, with an Auchan hypermarket and 90 other stores and service outlets of brands such as: Smyk, Empik, H&M, Rossmann, RTV Euro AGD, Carry, Mohito, plus the 3 Stawy Fitness Academy Club. The center has 2 000 parking spaces in basement and outdoor car parks. The area around the center offers shoppers a wide range of Polish and international brands. These include: Leroy Merlin home and improvement store, Norauto automobile center, MediaMarkt and Media Expert stores selling electronic goods, Go Sport and Ski Team sports goods stores, as well as Komfort, KFC, Kakadu and Flügger. There is also a Shell petrol station on the grounds of the center.